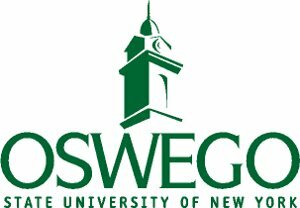 OSWEGO, NY (11/05/2018)– SUNY Oswego has awarded Merit Scholarships to a select group of area students who started at the college in fall 2018. The college honored more than 850 incoming students with merit scholarships. Outstanding first-year students are offered Presidential Scholarships, Deans’ Scholarships, Merit Awards and, for outstanding students from outside New York state, Destination Oswego scholarships. The awards are part of about $7 million in merit scholarship money offered at SUNY Oswego. These funds are in addition to approximately $80 million in need-based grants, loans, work-study and scholarship awards that SUNY Oswego students receive annually.